My bed was installed in C-Space with a television sitting on top. 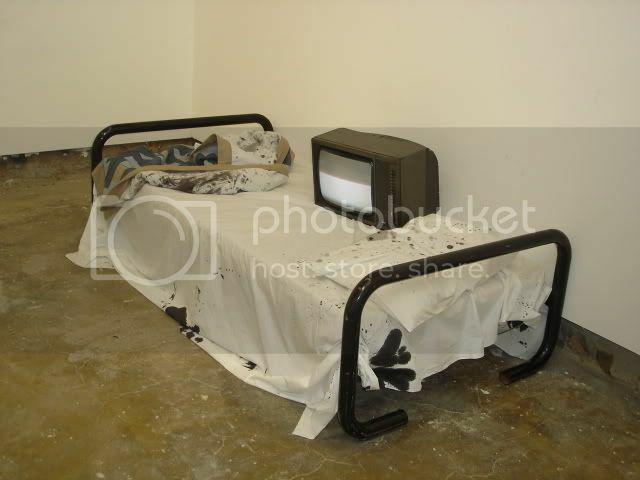 The television was showing a looped video of black paint dripping through a sheet. The work was later installed in Collected (2006) for the Undergraduate Degree Show.